Becoming A Gracie Roze Stylist – What’s In It For Me? Gracie Roze, previously Yourself Expression, offers customizable Memory Lockets. Customers can create personalized charms with their interlocking Snaps and Poppers. Being a stylist for Gracie Roze will give you a unique opportunity to become a part of an emerging company. What once started as an exciting adventure by a team of siblings has now become a name that is best known for delivering fun-products to its customers. Gracie Roze has all you need to make your look stylish and classy. From gorgeous jewelry items to an outstanding clothing collection for girls, Gracie Roze has it all. There are many different collections that can be found online and in stores. The jewelry collection is best known for using stainless steel and rhodium as the only metals. The absence of harmful metals such as nickel and lead make the products skin-friendly. How Do I Become A Part Of This Venture? If you are wondering how you can take part in a thriving business like Gracie Roze, you should consider becoming a Stylist Partner. You will be seen as an independent contractor and will have two ways to sell the items, either online or directly to clients. That means you can also arrange events to invite your friends and family to share your love for the gorgeous jewelry items available. Being a stylist will give you a chance to work from home and will give you the independence that you need. You can choose your timings and can maintain a schedule of your choice. Initially, you will be given an option to buy from a collection of 3 kits which fall in the range of $129-349. Gracie Roze believes in giving their stylists the freedom to work in a flexible manner which is why there are no strict quotas to be followed. However, you will be expected to have sales revenue of $100 in every two months to keep your connection with Gracie Roze as a stylist active. Moving on to the revenue, you will be earning 40% in commission for every online sale that you make. These earnings will be shifted to your PayPal account directly, and you will be making money without any hassle. For clearance items, there will be no commission applicable. In case of direct selling, you will be keeping the money collected from the customer. As you will be regarded as being self-employed, you will need to take care of your taxes on your own. Your earnings will need to be included in your tax documents. Depending on where you live, your tax amount will differ which is why it is best to talk to a professional. If you wish to sell online, you can get a link to your website for free and can use that to reach the targeted customers. If you have the right passion and show your enthusiasm and love for the product to the customers, you will be able to generate sales easily. 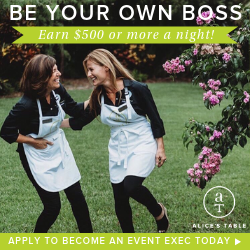 Gracie Roze has introduced an amazing home-based selling opportunity for all those passionate about jewelry. This unique offer is not to be missed! I go to the websites that I am interested in but whatever I do, I end up back to the main page http://www.thebestdirectsalescompanies.com. Can you help me figure it out please? I am interested in several and all do not require a start up kit fee. Hi, Sherri. Sorry about that. Can you tell me which post is sending you back to the homepage? I’m happy to investigate the situation.